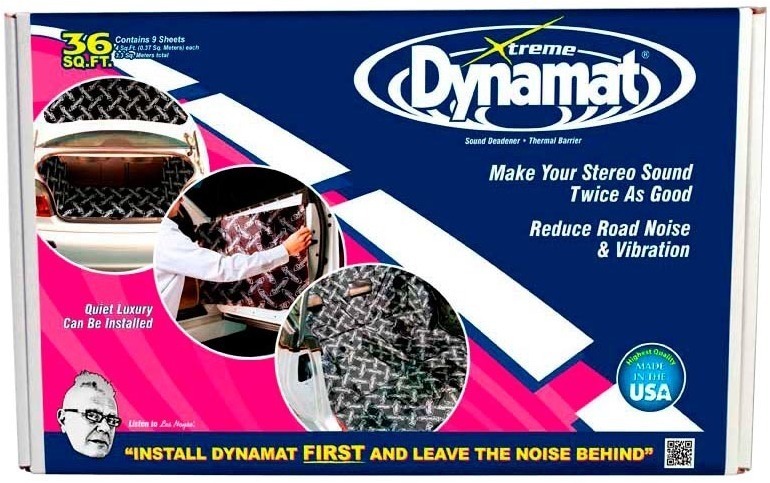 Dynamat Xtreme is the highest efficiency energy conversion sound deadener available. Sheet metal resonates creating noise, with Xtreme installed the noise is transformed into silent energy through a process called ‘vibro-acoustic energy conversion’. 30% lighter and 30% thinner – efficient sound deadener for weight conscious applications. Use Dynamat SuperLite when you need to stop resonate noise without adding too much weight. 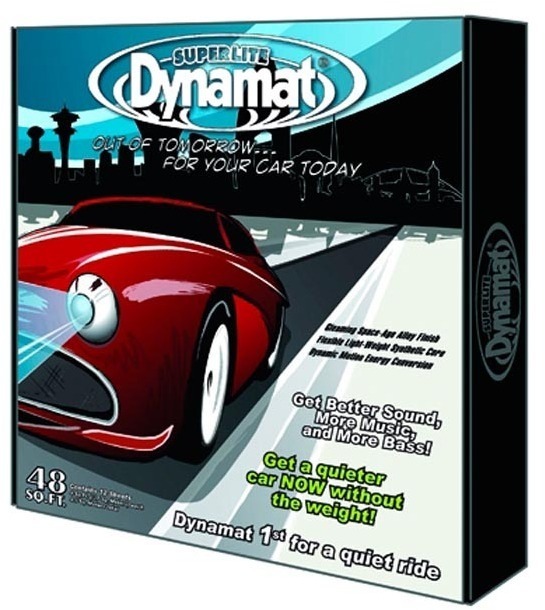 Dynamat SuperLite is a high-efficiency sound damping material used to stop noise and vibration. It is the same sticky butyl rubber Constrain Layer Damper (CLD) as Dynamat Xtreme in a 30% thinner, and lighter form. The thin butyl rubber layer is its own adhesive bonded to a gleaming blue, 2 mils thick aluminum alloy – simply peel off the release liner and apply even pressure to install. High performance full coverage and used on top of Xtreme, Dynaliner has the highest heat blocking properties available in a single layer synthetic foam-type material. Dynaliner is an ultra-lightweight high performance closed cell rubber foam. It’s made from a proprietary synthetic rubber combined with a tightly packed, gas filled closed cell structure. The closed cell structure allows near zero air infiltration occurrence, making Dynaliner highly non-conductive. Dark gray in color, Dynaliner is available in 1/8″, 1/4″ and 1/2″ thicknesses. The product is self-adhesive with a high-temperature acrylic adhesive. The perfect partner for Dynamat Xtreme; combining Dynamat Xtreme and Dynaliner nearly doubles the total thermal resistance by doubling the interfacial thermal resistance. Interfacial thermal resistance occurs when select materials with incompatible thermal transfers are placed together (for instance, metal and rubber). Get better sound, protect your car’s paint finish and get that show car look with a custom thermo-acoustic Dynamat Hoodliner. The Hoodliner’s “Sound Soaker” foam absorbs engine noise, delivering a quieter listening environment in your vehicle. In addition, the Headliner’s 1 mil. reinforced aluminised skin creates a water/oil barrier that reflects up to 97% of radiant heat to protect the hood’s paint finish. The Hoodliner provides maximum noise control when applied over Dynamat Xtreme.